What? Who accepts returns on electronics or software? "It wont play my games" or "It wont play on my computer" never flies. "When we told you it would play games, we meant like...solitaire...or minesweeper". Great article, and I like the idea. Certainly not original (eg. Centrino). BTW, Centrino got around the "moving target" issue otherwise known as progress, not by attaching a year to the certification logo but by updating the way the logo looks. 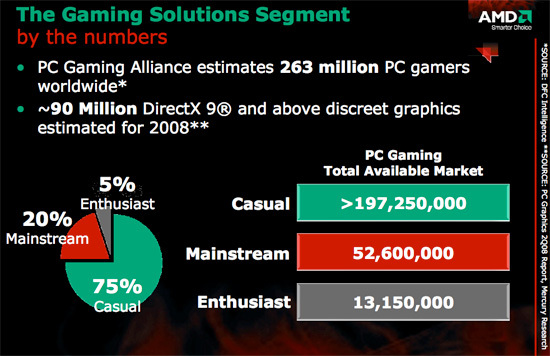 While this method is somewhat more ambiguous, it is a fair compromise and I suspect AMD will do the same. Someone mentioned Games for Windows (Live), Please let me get on my soapbox: That is probably the biggest opportunity flushed down the toilet I've witnessed from MS in recent times. Considering that they had Xbox Live available as a template (and shining example) it makes it all the more appalling to witness what MS did with this. Logging into GFW should not require running a game. Online gaming is about community. People want to see who's online and what they are playing, and then make a decision about what to boot up -or perhaps they want to message their clan members and organise the evenings entertainment. At least Steam understands that, but GFW should have defeated Steam hands-down. MS should have made something brilliant that unified the PC gaming community by providing a robust and feature rich platform (whether in XP or Vista), but instead they blew it. I think some of you, including the articles author, should step back and look again at what is a reasonable system to play games. 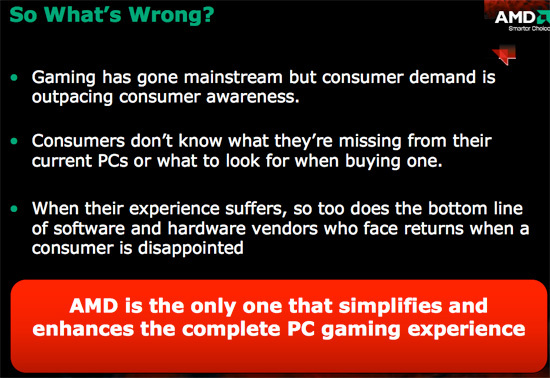 Between feeding my family, paying the mortgage, and filling the gas tank, I can’t afford to spend a lot on a PC. Just this week I replaced my video card and monitor. My new Hanns-G widescreen LCD is capable of a max resolution of 1440x900. A quick check on Newegg shows the cheapest 1600x1200 capable LCD costing $345 which is $160 more than what I paid for my new LCD. An extra $160 is not chump change. At $155, the cheapest 3870 is more than twice the cost of the 3650 I bought. Yet I still can play modern games at enjoyable frame rates and resolutions on the 3650. I know Crysis is stunning with visuals set to high, but is it ugly on medium quality? I haven’t played it yet but I bet it still looks and performs well. My world does not rotate around the PC and games, but I do like to play them. 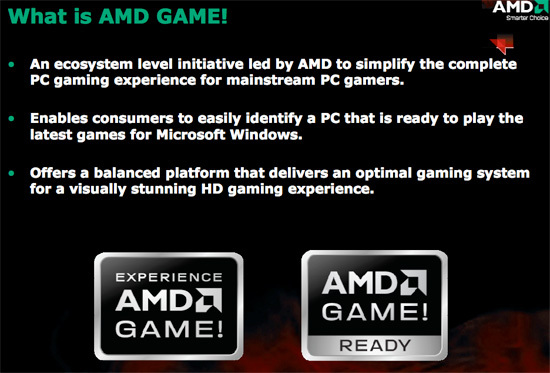 AMD’s Game! requirements are reasonable for the average gamer on a budget like me.